Hi friends! 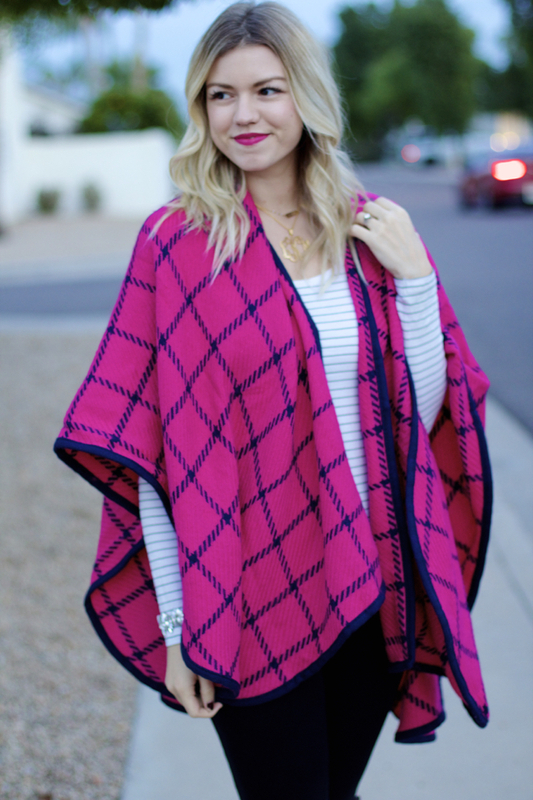 I’m sharing a quick, easy, and VERY casual outfit for some last-minute Christmas shopping! 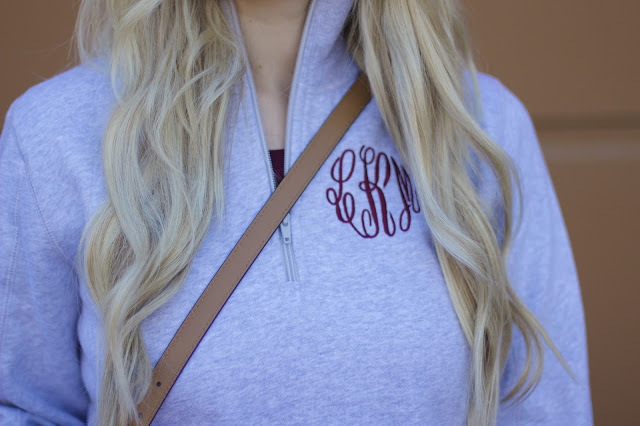 I love a good sweatshirt, it’s so comfy and cozy, but when you wear anything with a monogram on it, it automatically gets a higher notch of class! 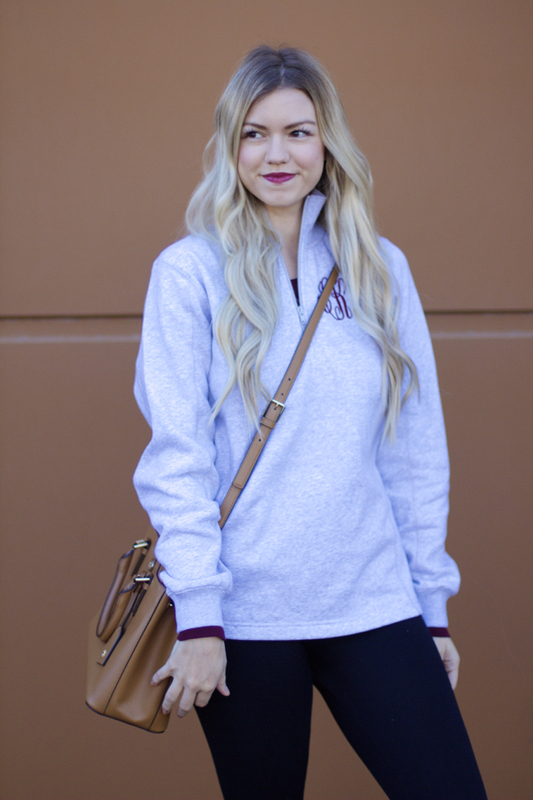 This Southern Touch Monograms sweatshirt is super cute and comes in a darker grey, black, and several other colors! You can also customize the color of the monogram, so these are perfect for gifts! I love my Southern Touch Monograms monogram necklace too, if you are looking for something for your mom, sister, or bestie! Lately, my trick for looking put together is slapping on some lipstick, I’ve linked to some of my go-to Fall/Winter colors so you can share in this fun, easy tip for the busiest of seasons! 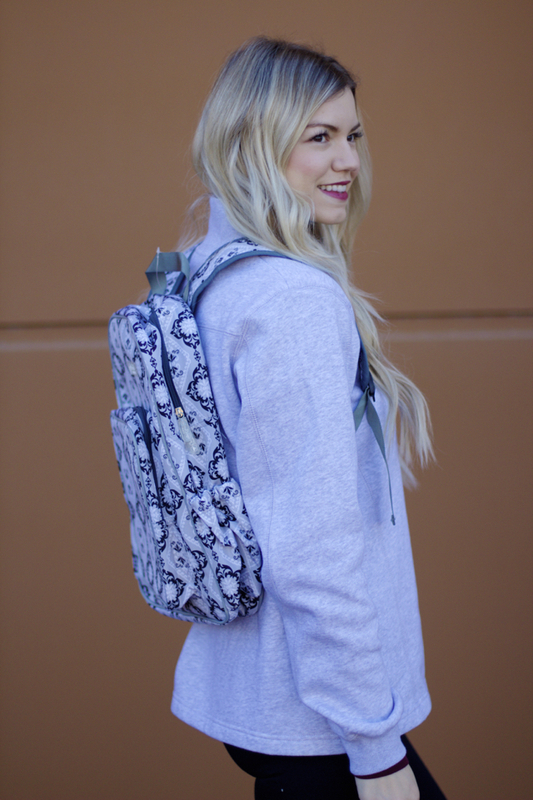 Monogramming is always a great touch – especially for a gift! Love your half-zip! Love this sweatshirt! Not only because it's monogrammed (like that isn't enough of a reason), but because of the fit. I cannot stand bulky sweatshirts or the ones with the gathered bottoms and cuffs that make me look like a completely different person. Too adorable! I'll have to check out Southern Touch.